Multiplayer is a strong feature on games and consoles since its first inception on the Sega Dreamcast back in 1999. As the console generations have matured and grown, multiplayer had a foothold on the generation as a way of bringing together gamers over long distances to play their favorite games together. Halo and the Call of Duty franchises are at the forefront of multiplayer games. The wide-spread popularity and the polished and refined gameplay helped keep these games among the top played games online. So when other game companies see the kind of numbers these multiplayer franchises are getting, they want a piece of the pie as well. But not every game needs multiplayer. Some games are narrative driven experiences, where the single player is in control of the actions on screen and the consequences thereof. If multiplayer is introduced to such gameplay, it only dilutes the main purpose of the game. Imagine if any of the God of War games included a multiplayer feature. Suddenly, there is more than one Kratos, which doesn’t make sense considering the narrative. You can also take it another way. Instead of having multiple versions of Kratos, companions or friends of Kratos take part in the action, but suddenly there’s no backstory for these other characters. Why are they here helping Kratos? What purpose do they serve except to satisfy a gameplay element? One of the smartest people in gaming today is Ken Levine, a developer of Irrational Games, creator of the original Bioshock. A couple of months ago, Levine spoke to Kotaku about the possibility of including a multiplayer mode in Biohock Infinite. "Here's what I have to say about multiplayer, it's what we said about BioShock 1: We have not made any determinations about multiplayer. I will say that we experiment with things, but for us we are never interested in making a multiplayer mode you could just play in some other game. Because, A) that's not creatively interesting and B), financially, you're wasting your time. They're [players] going to go play Halo. They're going to go play Call of Duty. If we do something new - if we do something like Left 4 Dead that has something new to say - people will come to your game. If you don't, don't waste your time." Bioshock 2, which was released earlier in the year by 2K Games, included several multiplayer modes that the first game did not. As we look toward the release schedule of games towards the end of the year and into next, I grimace at what we have to look forward to. 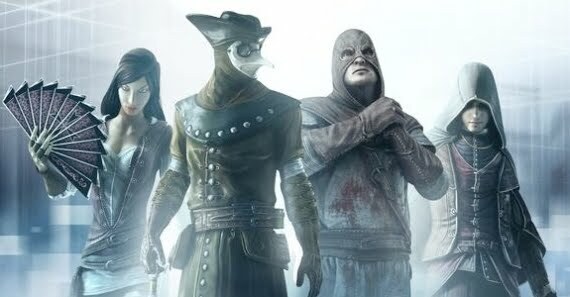 Assassin’s Creed: Brotherhood, a big open-world game in its previous two iterations, but this title includes a multiplayer versus mode. Depending on how well it works, I may let this one slide. As Levine said, your multiplayer has to do something new to grab interest, and Brotherhood seems to do that. Instead of straight-forward deathmatch games, players use stealth, deception, and evasion to assassinate each other and specific targets. Think of old school Splinter Cell gameplay in multiplayer. 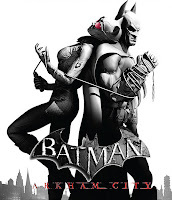 We also have Batman: Arkham City, which may be released near the second half of 2011. Though nothing is confirmed yet, rumors of co-op play have been circling, where Batman would team up with Robin, or possibly Catwoman. I don’t really see a need for this feature seeing as the first game was entirely singleplayer, and was highly regarded as the best Batman game to date, let alone one of the year’s best games. Another game that is still on the fence for me in regards to the inclusion of multiplayer is Portal 2. The first game was well received for its innovative gameplay and subtle story-telling. The narrative also wasn’t receptive to multiplayer. 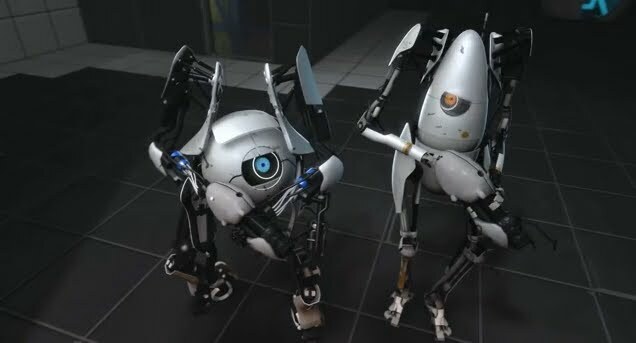 In Portal 2, a new co-op mode places you in the role of two robots to solve the game’s puzzle. Like Brotherhood, multiplayer here could be a good thing or bad thing. We know that the co-op mode is an entirely separate story from the singleplayer experience. I can also see how a co-op mode can enhance gameplay, allowing the players to solve puzzles that normally would be impossible in singleplayer. All these things taken into consideration, unless your game has something new and unique, multiplayer features are only a waste of time for both the developers and the players.